If you can't put down your favourite chocolate bar, you may not have to... Or at least, maybe... In a few years... Maybe. Here's what Nestle wants to do about sugar, and what the research says about sugar. Without further ado, let's pour some sugar on this sweet as topic. When it comes to sugar, there's controversy. 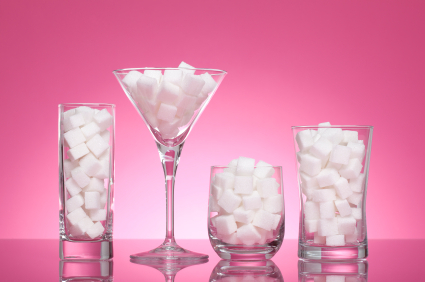 Does sugar make you fat, sick, slow your metabolism? Is it all sugar, some sugar, added sugar, no sugar? One recent review study found that high fructose intakes (150g/day or more) increased insulin resistance and blood lipid levels. These indicators increase the risk of several chronic diseases. The study also found many "side effects" of consuming high sugar/fructose diets, like weight gain and obesity, are a result of energy (calorie) overconsumption, often caused when people consume lots of sugary foods. Another large review study found fructose-containing sugars do lead to weight gain and increased disease risk if the overall diet provides excessive calories. Wait, déjà vu? 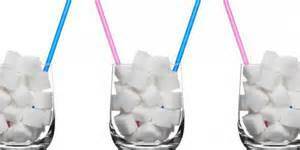 Both articles stress that excessive sugar intake (fructose or otherwise) from sugar sweetened beverages like soda, are associated with weight gain, obesity, and increased risk of chronic diseases like cardiovascular, diabetes, etc. Both studies also note that people consuming these beverages often consume too many calories, exercise too little, smoke more, and have poorer dietary patterns than people who don't. Enter Nestle: Touting its new patent-pending sugar structure. The manufacturer compared regular sugar to a shoebox, where the outside and inside are sugar. The new structure is spherical like globe rather than a box, contains sugar on the outside but less sugar inside. Meaning the new sugar should taste as sweet as the regular stuff but contain less sugar, and therefore less calories. Nestle says it will use the new structure to reduce the amount of sugar by up to 40% in its confectionary... In 2018. What, then, are the take home messages? Like when Coke switched from high-fructose corn syrup to sugar... Coke went from being "unhealthy" to "still unhealthy"
Tis the season to make "resolutions". This year why not resolve to eat everything you like in moderation? Here's some fun holiday reading!